The most obvious change to the 2019 Elantra is the new face, as it gets a new fascia with LED DRLs, a new hood, new fenders and also a new front grille. At the back, the 2019 Elantra gets a new trunk along with revised bumper and new taillights. Hyundai has also specced the 2019 Elantra with new 16 and 17 inch wheel choices. The new changes to the exterior have made the sedan more dynamic in the way it looks while the single streak look is very elegant to look at. The boot-lid has also received changes with the number plate recess now moving to the rear bumper. Heart of the 2019 Hyundai Elantra will be powered by a 2.0L naturally aspirated 4-cylinder engine, a 1.4L turbo 4-cylinder and a 1.6L turbo 4-cylinder engine. These engines will churn out 147 bhp, 128 bhp and 201 bhp respectively. The company will offer a 6-speed automatic, a 7-speed dual clutch automatic and an option of 6-speed manual or the 7-speed dual clutch for the sport version of the 2019 Elantra. we get in to the most interesting bit about the 2019 Elantra. As we have already mentioned this, the sedan will get state of the art safety features and the list includes forward-collision warning with automatic emergency braking, blind-spot monitors, lane departure warning with active lane control and also a rearview camera with cross-traffic alert. These features will be standard across all versions. The 2019 Elantra also gets Pedestrian Detection and a feature called Safe Exit Assist that alerts the passengers of a potential danger while exiting the sedan. Reports suggest Hyundai might include this feature in all future models. 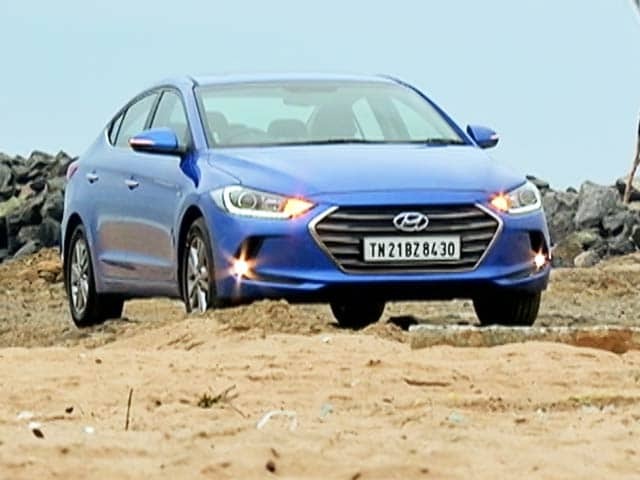 Hyundai may price new Elantra between Rs 15 lakh to Rs 18 lakh. Expect the 2019 Elantra to come to India by 1st june 2019 and will take on the likes of Skoda Octavia, Toyota Corolla, Volkswagen Jetta among others. The 6th generation of the Hyundai Elantra has finally made its way to India and we drove it to find out what its all about. Images of a test mule of the 2019 Hyundai Elantra facelift has recently surfaced online. Expected to be launched in India sometime next year, the test mule of the facelifted Elantra will come with considerable cosmetic updates, along with a host of new and updated features. We quickly write down points that you need to know about the 2019 Hyundai Elantra.